Beautiful, one-of-a-kind soaps of art! It’s like soap with a built-in washcloth! This fun bath-time necessity is made from our confetti soap, individually felted by hand just for you using local wools, from NC sheep. Because it’s made with Oak City Soap Co. soap, you know your skin will love it. Felted soaps add a touch of gentle exfoliation and typically last longer than unfelted soaps, just don’t let them sit in pools of water between uses. When the soap is all done, recycle your piece of felt! You can use it to clean pots or pans, scrub your bathroom with it, or use it as a soap dish. You’re only limited by your imagination. We can’t guarantee a specific design, only a specific style. 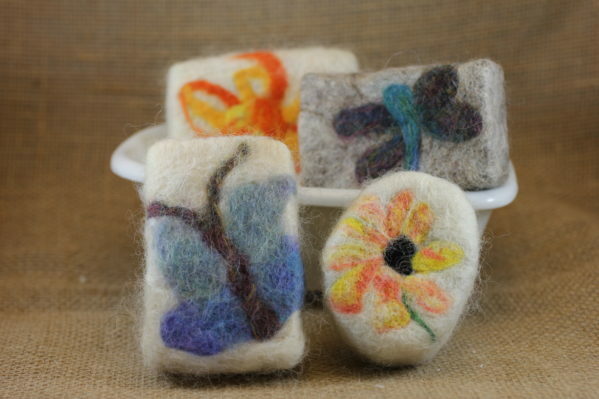 Be sure to contact us if you’d like a custom felted soap order, i.e. monograms, and we’d be happy to discuss your ideas with you. NOTE – This product is made with our “confetti” soap and may contain beeswax and/or goat’s milk. We use wool felt, and as such, this product is not considered vegan. 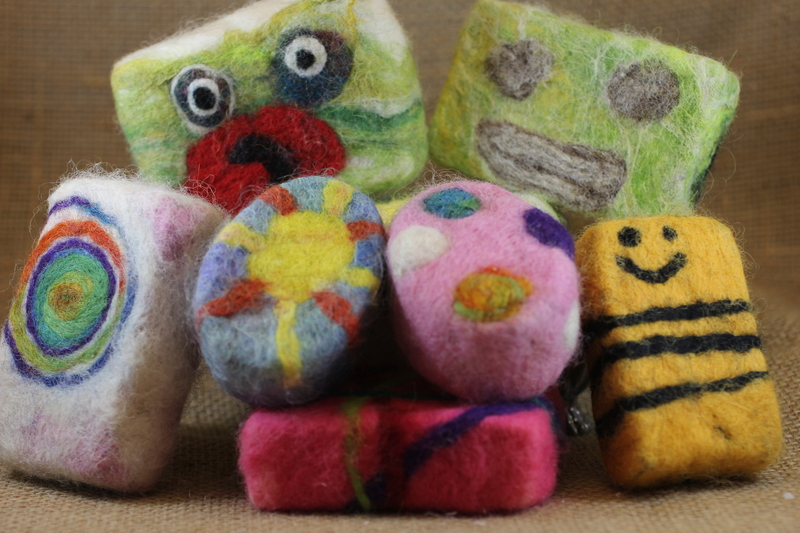 The felted soaps are great. They last much longer than regular soap, and they exfoliate my skin.